SEATTLE, WA (CelebrityAccess) — Organizers for the Bumbershoot announced the lineup for this year's festival, the 45 edition of the long-running event. 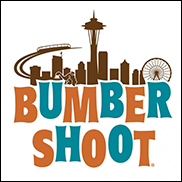 Taking place at Seattle Center over Labor Day Weekend (September 5-7), Bumbershoot 2015 will performances by Ellie Goulding, The Weekend, Faith No More, Hozier, Zedd, Bassnectar, Chance the Rapper, Social Distortion, Brandon Flowers, Cake, and numerous others. Festival organizers also announced some changes for 2015, including two new stages two mainstage locations (Memorial Stadium and KeyArena) and a new non-profit partner in the Center for Infectious Disease Research.